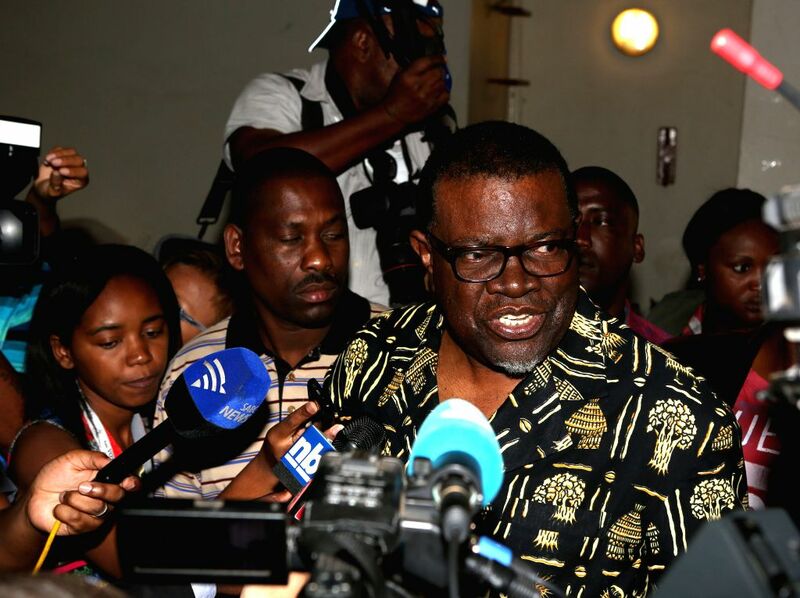 Windhoek (Namibia): Ruling Swapo party's Presidential Candidate, Prime Minister Hage Geingob speaks to the media before casting his vote at a polling station in Windhoek, capital of Namibia, Nov. 28, 2014. Polling started Friday morning for Namibia's fifth post-independence presidential and national assembly elections. Over 1.2 million registered voters are expected to cast their ballots at nearly 4,000 polling stations across the country. 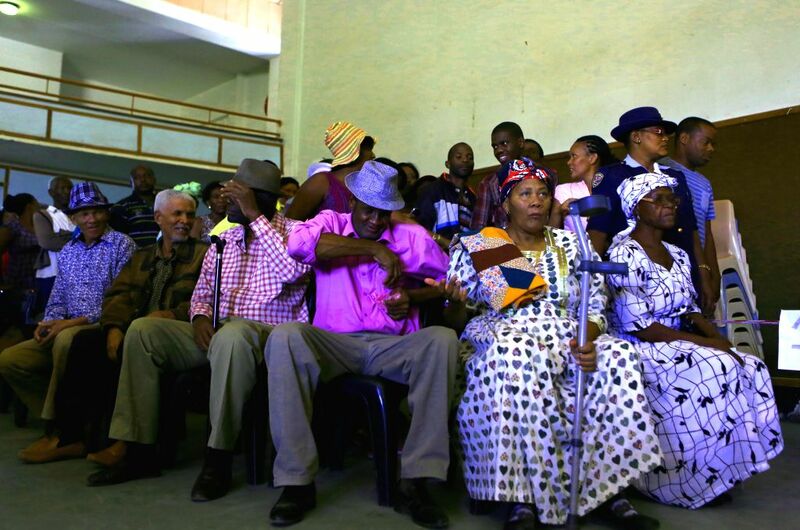 Windhoek (Namibia): Voters wait for voting at a polling station in Windhoek, capital of Namibia, Nov. 28, 2014.